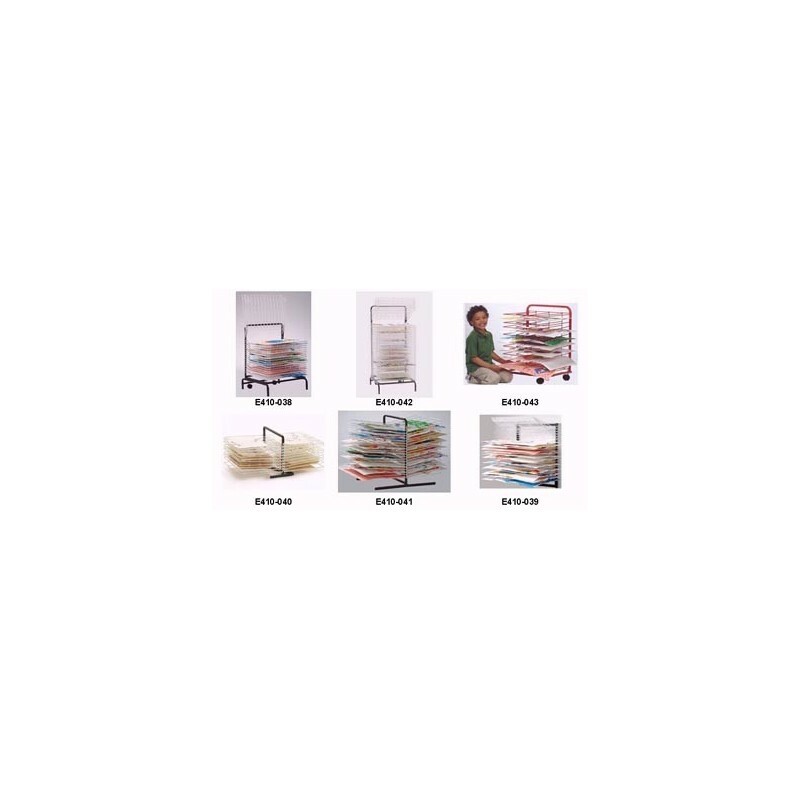 Copernicus Drying & Storage Racks have been a part of the educational school systems for years. Manufactured with safety in mind, the drying racks have rounded corners. The models are manufactured with all metal construction and a tough powder coated finish for longevity. A variety of models are available to fit into your budget and size requirements. Spring Loaded 20 Shelf Drying Rack. Twenty shelves, each with two springs that hold each shelf in an upright position. Two casters for mobility. Wall Mount Drying Rack Model Twenty shelves that can be easily raised and lowered. Two hooks at top to hold shelves upright. Mounting hardware not included. 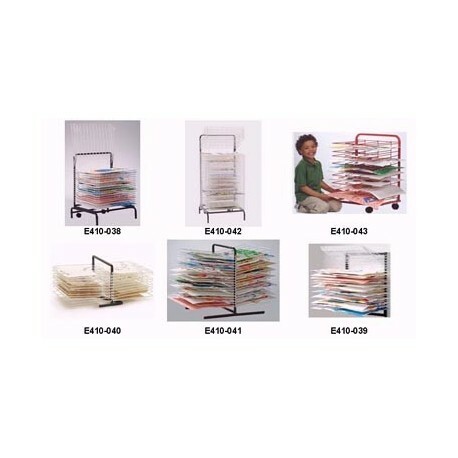 This double-sided drying rack is ideal for counter or tabletop with 20 shelves. Double Sided Drying Rack Forty shelves that can be easily raised and lowered Also ideal for use on a table or countertop. Spring Loaded 40 Shelf Drying Rack This drying rack features 40 Spring loaded racks with safety locking mechanism to hold racks in place while lifting up for easy access. Mobile 15 Shelf Drying Rack Red powder coated finish with 15 stationary shelves. Four locking casters provided.